Sure, you can play Angry Birds on your Android phone, your iPhone, your iPod and iPad, on Facebook, on PC, and in your browser, but what if that's just not enough? What if, instead of flinging irritated avians across the screen on the go, you want to do it from the comfort of your own sofa? Well, Rovio's got a solution for you. The Angry Birds Trilogy is coming soon to an Xbox, PlayStation, and 3DS near you, IGN reports. The three games in the original, earthbound series—Angry Birds, Angry Birds Seasons, and Angry Birds Rio—will be bundled and sold on disc (or, in the case of the 3DS, cartridge). The sequel, Angry Birds Space, is not included. There are new cinematics, extras and other entertaining content. In addition all of the existing material has been uprezzed and re-treated for the high-resolution and big screen. The backgrounds have been animated, we've added lighting modes, reactive backgrounds, the list goes on and on. We believe that there are a lot of people on the consoles who appreciate a great casual game play experience. This is a game that resonates across a wide audience on many platforms. 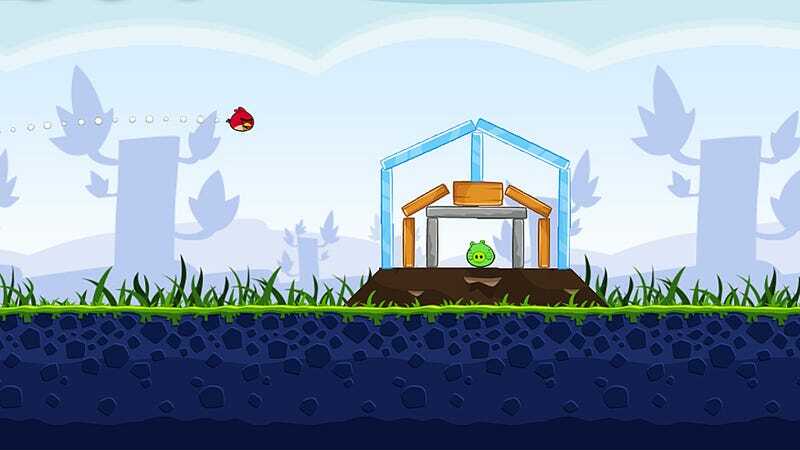 It is true that one of Angry Birds's strengths is that it can be played effectively on pretty much any platform. And it might be nice to play on a screen larger than my fingers are. Less accidentally flinging the silly thing backwards that way. As for price or a release date target, there's no word yet. We've asked Rovio for comment and will update if we find out more.